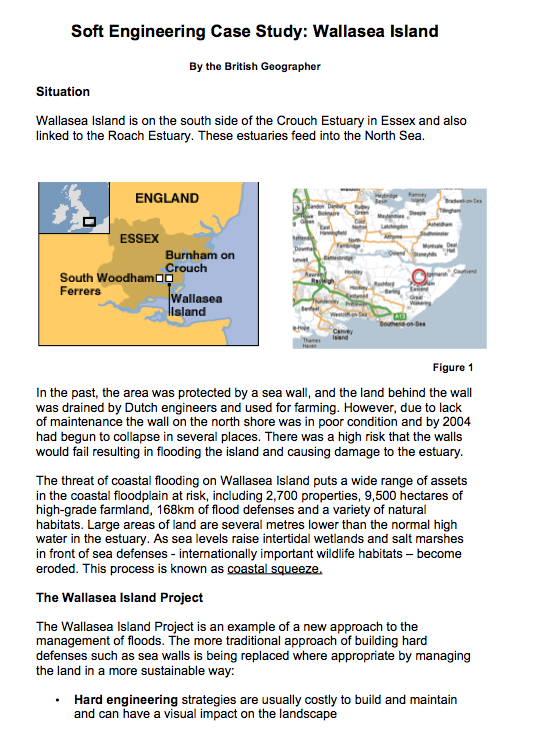 The Bangladesh case study is the oldest case study I use. I use it because it illustrates the aweful impacts of tropical cyclones and their associated tidal surges. 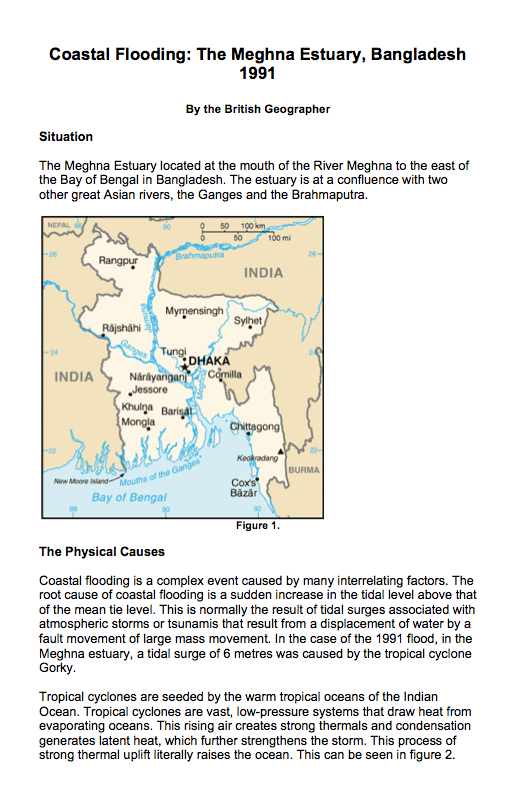 The country of Bangladesh illustrates many of the coastal topographical charactersitics that can influence the severity of coastal flooding. Finally the case study illustrates the wealth gap between developed and less developed countries. The 1991 cyclone was also the catalyst for change in Bangladesh. The international community were awakened to the terrible consequences of cyclones and this brought about significant change in funding and capacity building for cyclone management in Bangladesh.